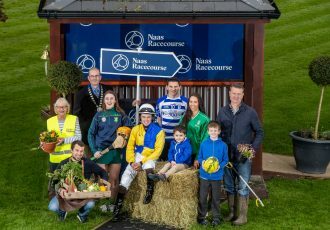 Naas Racecourse will unveil its brand new ‘Feature Building’ at its National Hunt race meeting this Sunday, (28th of January). The new Feature Building was created as part of a €3.2 million HRI Capital Development Scheme which commenced last year. It is an unusual structure; cylindrical in shape, it boasts wrap around glass and several balconies which snake around the building offering incredible views to the track and adjacent Parade Ring. Located just between the Grand Stand and Parade Ring the Feature Building will house a public sports bar on the ground floor while a stunning Owners and Trainers Lounge is located on the first floor. The Owners and Trainers Lounge enjoys 180-degree views of the track making it one of the world’s premier vantage points to view steeds in motion. Built by Duggan Lynch builders and designed by architects Hamilton Young Architects and Turnburry Design Consultants in London. The new feature building, The Circle, is believed to be the only racecourse building of its kind in Britain and Ireland. The innovative cylindrical design allows for greater vantage points for the general racing public and owners and trainers alike. 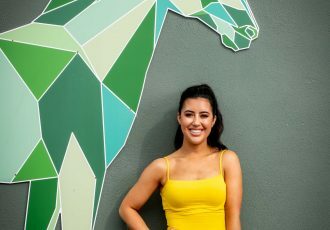 Naas Racecourse itself is a boutique style track- everything is easily accessible, and spectators can get up close to the action which results in an engaging and exciting racing experience. Naas Racecourse has a history of reinvestment and its board and shareholders have continually invested in the property over the years. The existing grandstand was built in 1997 at a cost of €2.2 million, while in 2003 a public bar and weigh room was constructed. In 2009 over €1.7 million was spent in order to create the existing stable yard. All of these improvements and additions culminated in elevating the status of Naas Racecourse and have allowed it to compete at an international level and also to host premier races including the Grade 1 Lawlor’s of Naas Novice Hurdle which was held at the track recently. The next part of the redevelopment programme will see the interiors and public areas within the grandstand upgraded including the Panoramic Restaurant. 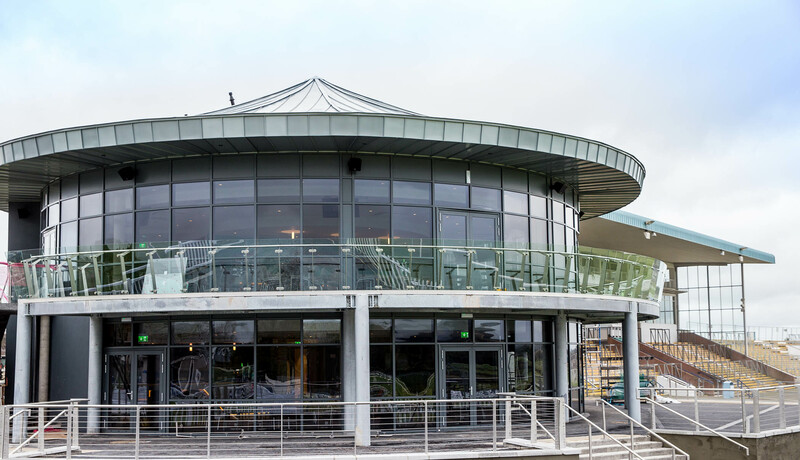 The January meeting at Naas Racecourse will run on Sunday, 28th of January when the Feature Building will open. The public are invited to come to join the team at the track for the official ribbon cutting at 12.30pm. The track is currently in the process of a rebrand and its new identity and brand will also be unveiled on Sunday. Meanwhile on the track, there are seven races on the card with the first going to post at 1.20pm. Admission tickets cost €15 and include a €5 free bet and a range of hospitality packages are available.